Recorded in our bedrooms after what was usually too many beers, these versions were the start of this crazy ride we've been on ever since. We originally released these demos as part of a preorder package with [On the Impossible Past] in trusty cassette form which has now long sold out. Lots of people have been asking about a re-release on a medium that doesn't require a '96 Buick to play it, so when the opportunity arrived we jumped all over it. 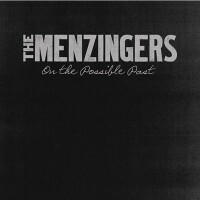 On the Possible Past is now available on vinyl and limited to 1000 copies. Just wait 10 years till we ask Epitaph to release it on a damn cylinder. The record can be pre-ordered here before its December 15 release and you can click Read More to listen to an acoustic version of "Casey" from the record.